How many members of the public can explain in any detail how a crop of wheat is grown to produce a loaf of bread, or how a lamb is produced that ends up on their plate for a Sunday roast? Not many I would suggest! It seems that in this age of convenience, consumers are well removed from where their food comes from. But why should people know this when farmland is often off limits to most of us apart from the footpaths and bridleways that crisscross the countryside. In an attempt to reverse this trend, last Sunday Lee Farm on the Angmering Park Estate opened its gates to the public to show them what happens on a working farm. 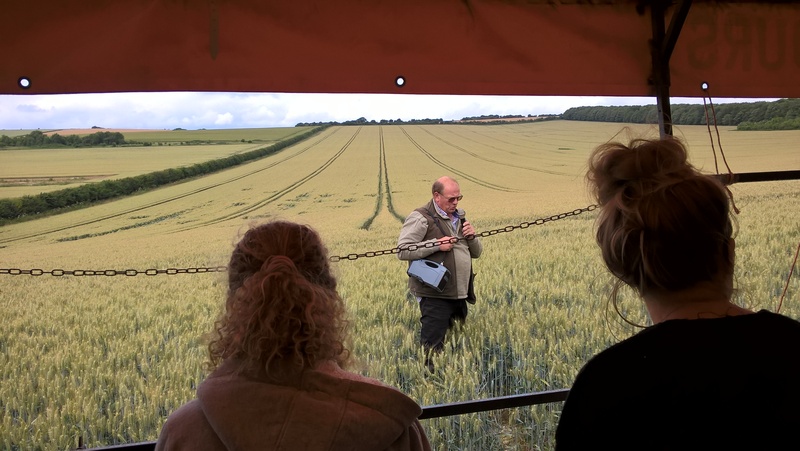 The day included farm tours on a tractor and trailer, sheep shearing demonstrations, a display of large and very shiny tractors and farm machinery, and even sheep racing (although the latter is not a common occurrence on farms across the country!). The aim was to get people out onto a farm to see for themselves how farmers produce not only their food, but also the landscape and wildlife that we all like to enjoy. 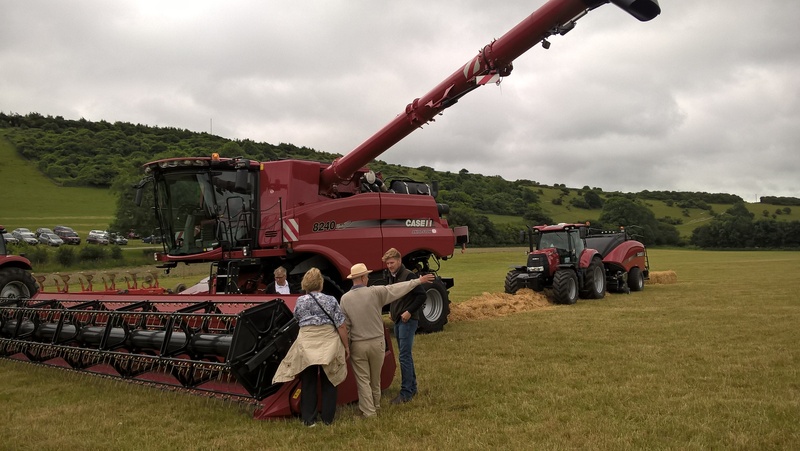 The open day was arranged through the Arun to Adur Farmers Group, a network of 26 farms covering over 8000 hectares on the South Downs between the rivers Arun and Adur. The group, facilitated by Environmental Consultant Colin Hedley, is delivering a number of innovative landscape scale conservation projects with the help from the South Downs National Park Authority, RSPB, Natural England and Game and Wildlife Conservation Trust. The open farm event was part of their delivery plan to showcase some of this work, and will be run annually in the future. Around 250-300 people attended the day, meaning that those involved were busy explaining what was going on across the farm. 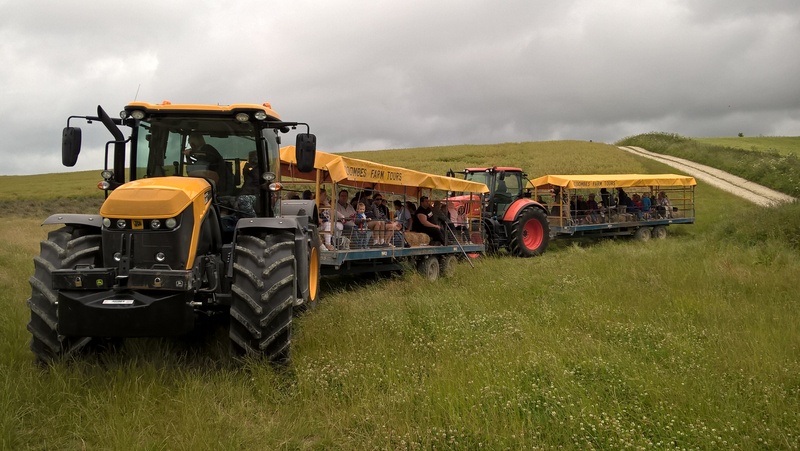 The three tractor tours were particularly popular, where Farm Manager, Dominic Gardner, explained all aspects of management from crop production to wildlife conservation to resource protection. Many people found that hearing the ins and outs of a day on the farm directly from those involved to be both informative and uplifting. Back at the main barn, interested crowds watched sheep being sheared and got to see the inner workings of a brand new Case combine that will be rolling out across the fields in the next few weeks to gather this years crops. All in all it was a very successful day and a great credit to Lee Farm and those who helped to bring it together. It is only by engaging with the public that we can expect them to appreciate and understand how a farm works, and farming's importance in producing the food that we eat and the countryside that we all enjoy.